Your college dorm room might not be fully equipped with dorm furniture for you and your friends to sit on. Dorm beds and computer chairs can only do so much when it comes to lounging around, but space might be in issue in your dorm room. 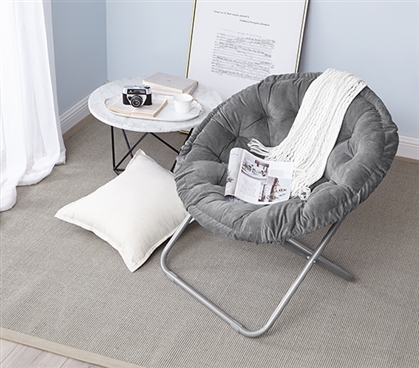 This is where the Dark Gray Comfort Padded Moon Chair comes in handy! 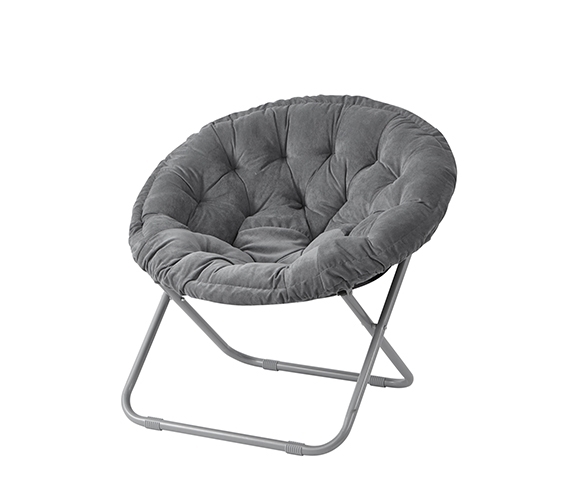 This gray college chair comes padded for extra comfort and can be folded and stored away when you need space. 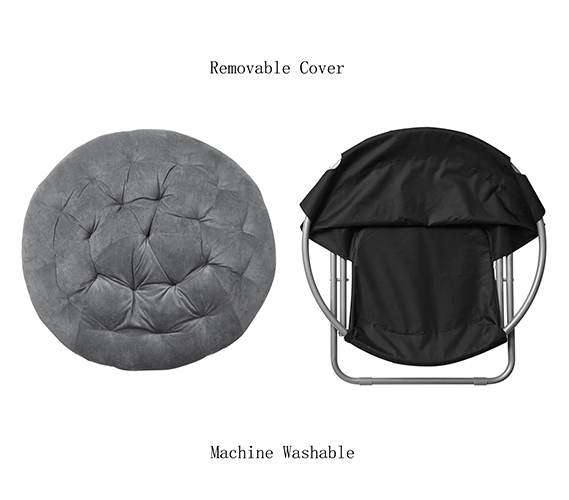 The frame is made of quality steel construction and the microplush pad is easily removable for washing. When going to college, it is essential to have the right dorm decor. You'll be spending a lot of time in your dorm room, so decorate it the way you want. This gray chair is perfect for any dorm room as the gray color matches almost any college furniture, dorm decor, or Twin XL bedding. Now you can lounge comfortably in your dorm room yet still have the space you need with this comfortable dorm chair.